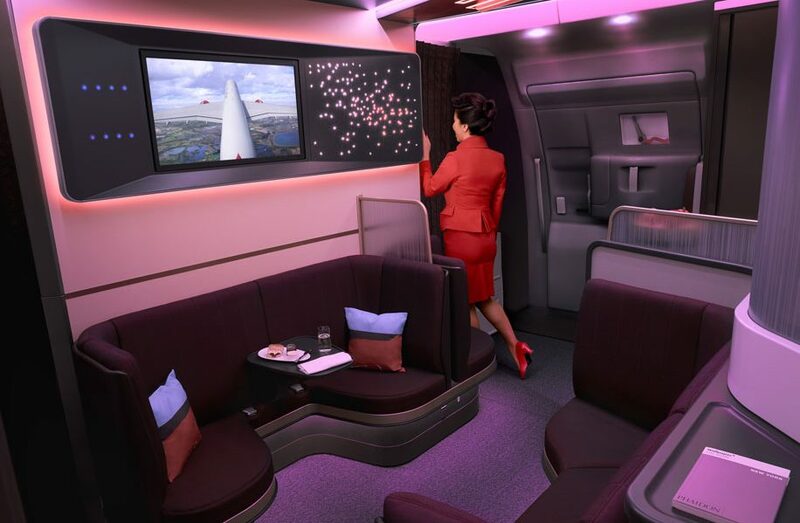 As we wrote a little earlier, Virgin Atlantic unveiled its new Upper Class cabin today. 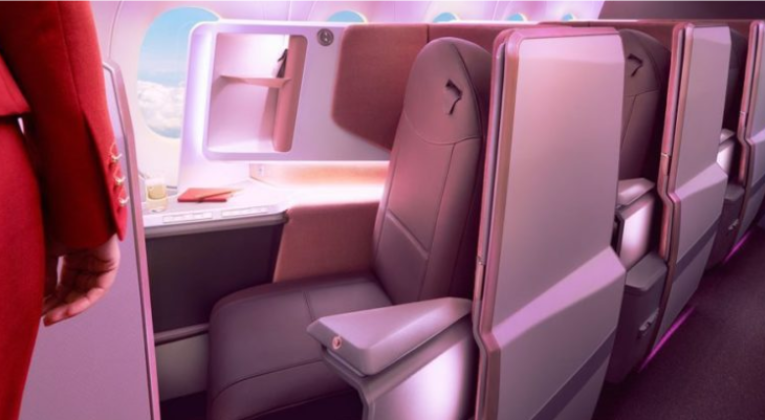 Virgin has now released some images and it’s fair to say that the cabin looks pretty stylish. Rather than the traditional reverse herringbone layout (where if you have one of the middle seats, your head is nearer the aisle and your feet are angled inwards), Virgin has arranged things so that your head will be nearer the middle and your feet angled towards the aisle. This may sound like a small point of difference, but should make talking with a travel companion much easier. Many couples, in particular, prefer staggered layouts (like Iberia etc) to traditional reverse herringbone (like Cathay etc) for precisely this reason. There is, of course, a privacy divider if you are travelling alone or don’t feel like talking. On the side of the seats there’s a ‘half door’ – an apparent compromise between privacy and the crew being able to provide good service, according to Virgin. 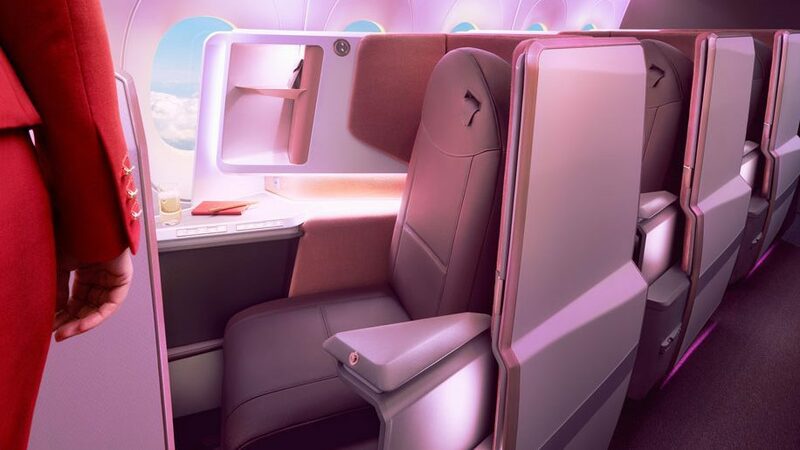 The new Upper Class cabin will (initially) be featured on the 12 Airbus A350-1000s that Virgin has on order, with the first of those due to be delivered this summer. The first route is scheduled to be New York, starting in August. ‘The Loft’ – new social area with seating for up to 8 people. 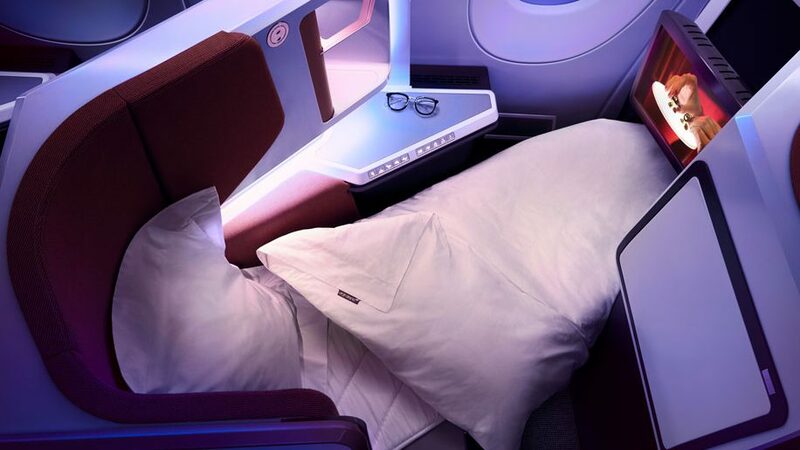 What do you think of the new Upper Class cabin? – Are you impressed or underwhelmed? The bar lounge area looks very impressive. The seats look stylish and comparable to BA first. However, I’m not to keen on windows being blocked out. The cabin crew should also get some new uniforms. Get rid of those ghastly ones designed by Vivienne Westwood!